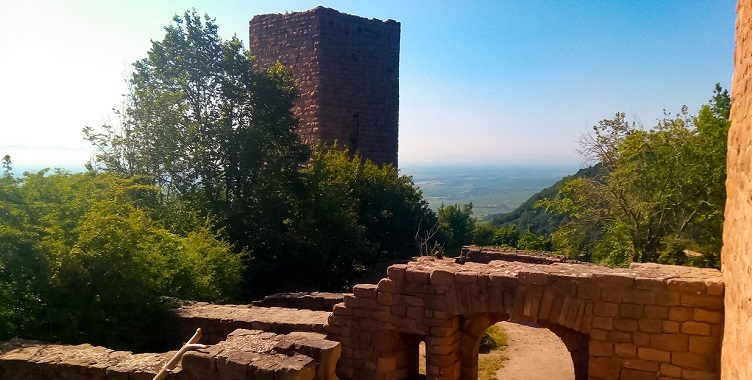 "The three towers on the Schlossberg hill (591m) overlook the Alsace plain and date from 11th to 13th centuries. The middle tower, the Wahlenbourg, is the oldest. The Dagsbourg o the north and the Weckmund to the south were built in the 13th century. 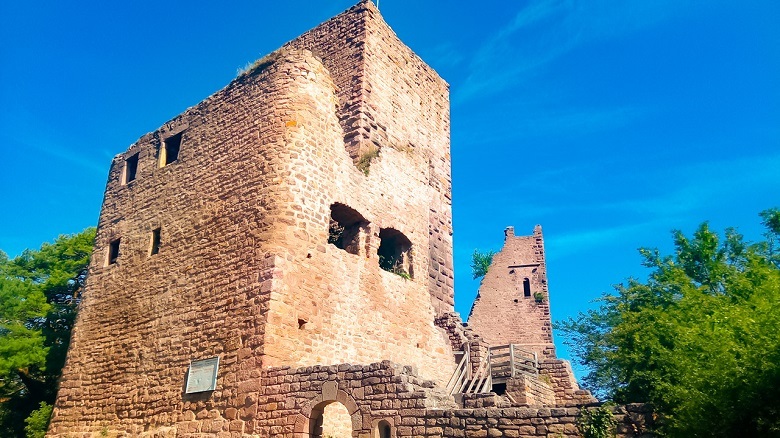 The Wahlenbourg : the oldest of the three castles was constructed in 1006 by Hugues IV, Count of Eguisheim and his wife Heilwige, Countess of Dabo, on the site of a Roman watch tower. 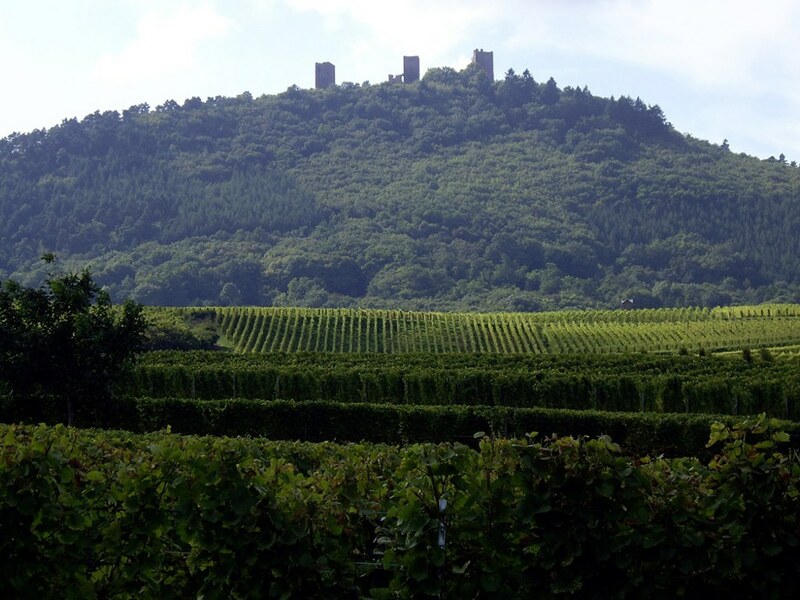 In 1026, the castle was destroyed by Duke Ernest of Swabia. The edifice was divided into three distinct parts: at the top was the Count's Residence, below was accommodation for family retainers and officers, then at the bottom were barracks for soldiers and the stables. The Dagsbourg : This was built in 1144 by the Count of Ferrette but in 1197, after a revolt against the Emperor henri IV, it was destroyed by Philip of Swabia, the Emperor's brother. The Weckmund : At the death of the last direct descendant of teh Counts of Eguisheim-Dabo in 1225, the Counts of Ferrette became the closest heirs, but their claim was disputed by the Bishop of Strasbourg who declared war and occupied the castles of Eguisheim. In 1226-1227, King Henry of Germany, ally of the Counts of Ferrette, built this siege tower in the mower yard to control access to the castles. When peace returned, the Bishop retained the Dagsbourg and the Weckmund reverted to the Count of Ferrette. All three castles were destroyed in 1466 during the War of the Six Oboles."